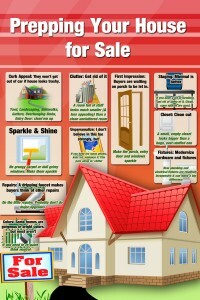 This article is one of 9 detailing the home selling process. See Home Selling page above for links to all pages. This is a challenge. You want someone sharp, integrity-based, hard working and a killer marketing plan. This article will give you some ideas on what to look for. Treat this as if it were a job interview: You want the best person you can find. 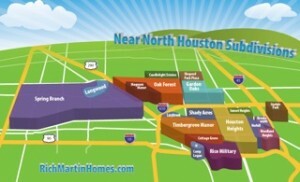 The vast majority of Houston Inner Loop Realtors are good, hard-working professionals. A few are exceptional, and a very few are idiots. I have run across a few that I would fire if they were my Realtor. Many are an absolute delight to work with! They are conscientious; return phone calls when they say they will; follow deadlines closely. They are also good at marketing and internet savvy. Time is of the essence for these Realtors. They don’t wait until the day an option period expires to negotiate repairs; this makes buyers and Sellers panicky. 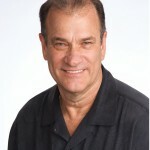 They are on top of things and warn the client of potential pitfalls so there are no surprises. They stay ahead of things to avoid the pitfalls. 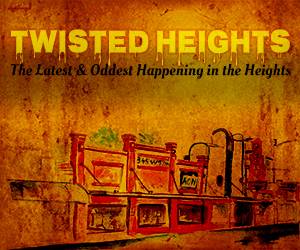 In this article I keep mentioning Heights Realtor. I do this not to narrow the applicability of the article, but to show the criticality of the Realtor in unique neighborhoods. Selling a house in older neighborhoods like Houston Heights, Oak Forest, Garden Oaks, Timbergrove Manor takes special knowledge and experience. 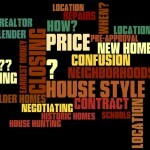 So, what to look for in a Realtor? Don’t, don’t; don’t pick a Realtor because he’s your brother-in law, or your niece who is just starting out in real estate. This is not a casual decision. It is not where you want an amateur, especially if anything unique about house, location, or selling situation. When potential problems arise, you want someone who has been there before. Don’t pick one unfamiliar with the neighborhood. If you are selling your Heights home, or Oak Forest, or Lindale Park, etc., use a local Realtor, not a suburban Realtor. Do look for signs in the area. A lot of sign riders for a specific agent have to mean something. Ask your friends and neighbors who they have used and who they recommend. Key points to look for are knowledge, experience, capabilities, and personality. If you are a high-pressure car salesman that might be the type of realtor you are comfortable with. Do you want an individual or a “team”? These days everyone has a team. I have people who make postcards, flyers, open house flyers. I have people who can do open houses if I can’t cover it myself, title people and lenders who can make every transaction smooth and transparent. What I don’t have and don’t want is a team where the buyer or seller works with several different people. I had a nightmare selling a house when the buyer team had one person show the house, another agent wrote the offer, another negotiated repairs. Not one person knew what the other had said or promised. They made their team too cumbersome. This turned into a disaster because there was not one person who could answer questions. Make sure you have one contact to go to. You don’t want superstar to list it and never hear from him again. An easy, low pressure way to interview multiple agents is by visiting open houses. How sharp is the Realtor about the area? Are they good at pricing? What about their marketing materials? Can they converse intelligently about the house they are selling? Are they too pushy and turning off potential buyers? Are they web-savvy? Are they someone you are comfortable with? Find a couple you like and invite them to look at your house and talk about it. Make it low key if you want, or ask for a full blown Market Analysis. Pick the one that you think would best represent your home and you would enjoy working with. After all, you are going to have a very close relationship for a couple of months. So, picking a Realtor to sell your house involves some homework, some research and asking around. It then boils down to interviewing a couple a picking one who is sharp; one who you will like working with. See Selling Houston Heights Homes for more tips.